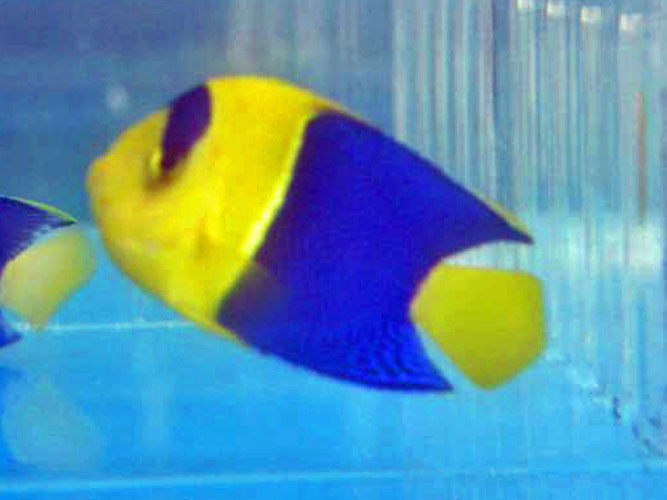 The Bicolor Angelfish (Centropyge bicolor) is a bright active member of the group Centropyge (dwarf or pygmy) angelfish. 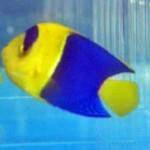 You will see this angel swim around your aquarium during the day grazing on live rock in search of algae. They require large amounts of caves and live rock to hide in order to feel protected when frightened. They do best in a 60 gallon or larger aquarium. There is no distinguishing visual way to tell male from female.